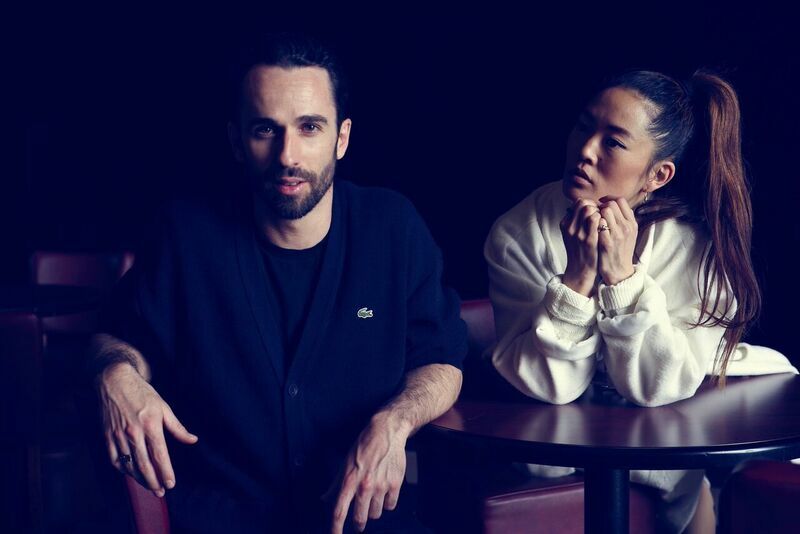 In the six years that they have worked together, Europe-based dancers and choreographers Honji Wang and Sébastien Ramirez (Company Wang Ramirez) have created an innovative body of work that blends hip-hop with other dance styles while exploring themes like relationships and cultural identity with freshness and humor. Frankfurt-born Wang is of Korean background and studied ballet before discovering hip-hop. 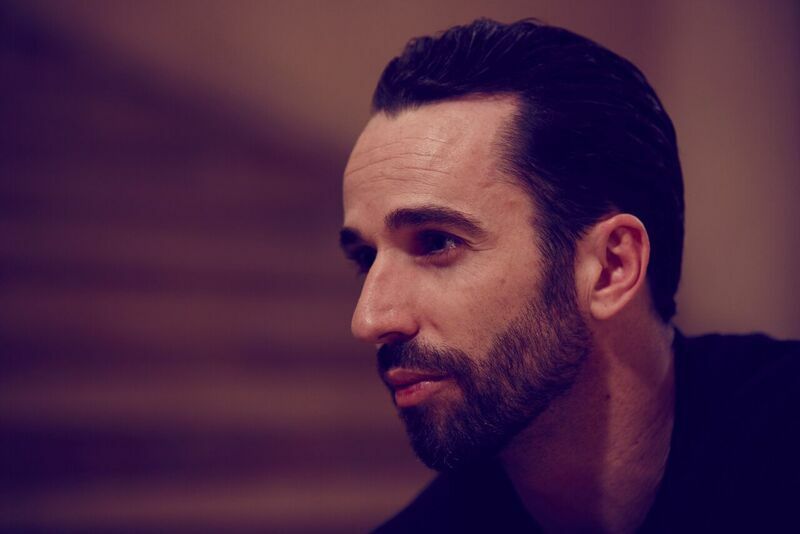 Ramirez, an award-winning b-boy, has Spanish background but grew up in the south of France. 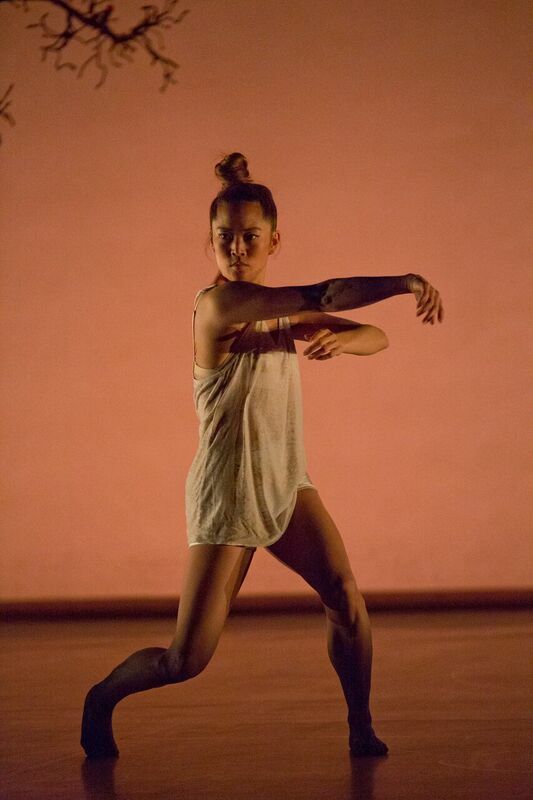 Starting with a short piece submitted to a hip-hop competition, they began creating larger scale works that established them in the contemporary dance scene. 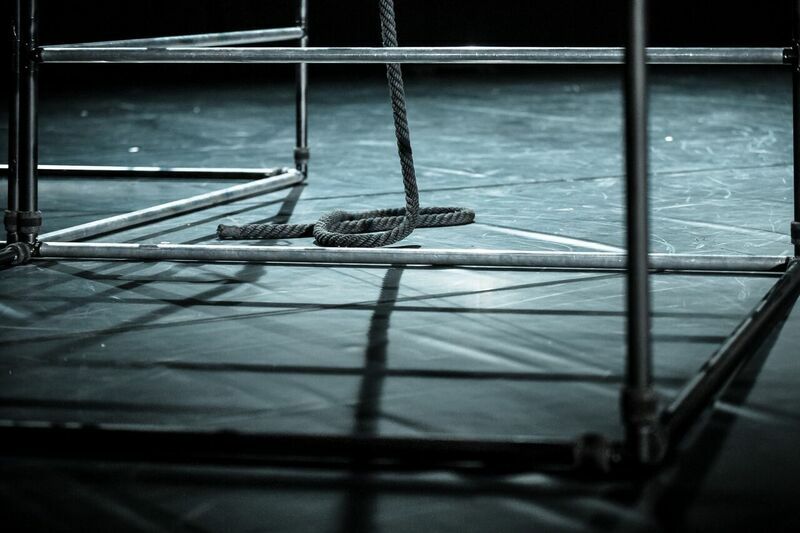 These include AP15 (2010), winner of a New York Bessie Award; Monchichi (2011), an exploration of their own relationship; Borderline (2013), featuring five dancers at times suspended from cables and a rigger; and Felahikum (2015), a collaboration with Rocío Molina that juxtaposes hip-hop and flamenco. 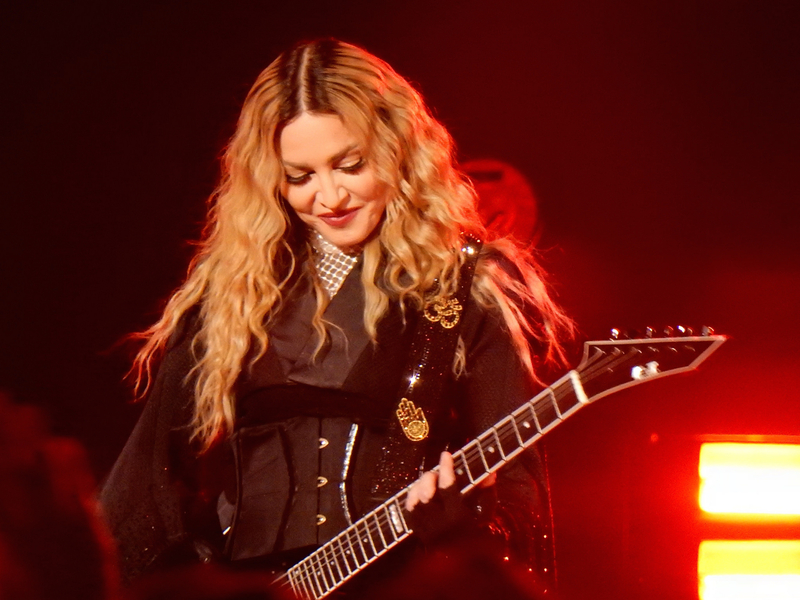 Frequently appearing in Europe, North America and South America, they were selected through auditions last year by Madonna to work on her 2015-2016 Rebel Heart Tour. 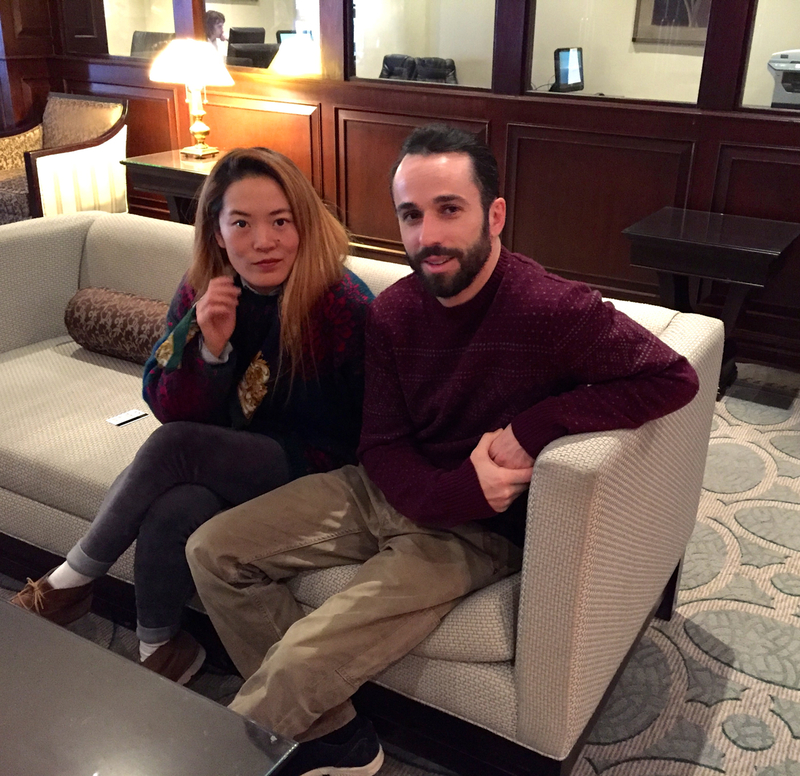 Anita Malhotra spoke with Honji Wang and Sébastien Ramirez on Feb. 27, 2016 in Ottawa, where they were in town for three performances of Monchichi at the National Arts Centre. AM: How did each of you get into dance and what were your first experiences? SR: I started in ’95 as a self-taught dancer. I started in the south of France, and with year after year of training and being in the underground hip-hop scene, competing and battling, I got to know dance. I wanted to grow out of this and develop. I was interested in choreographic work, so I started to create my own work. I created my own company in 2007, and with this company I started to create more theatrical dance pieces. AM: How old were you? SR: I was about 13 in 1995, and I was involved in hip-hop culture. I liked it a lot – the spirit, the engagement. All this really spoke to me and I loved the style of music. I was searching for something physical because I was really into gymnastics and acrobatics, and I found the discipline of hip-hop dance. B-boying was really my discipline, so I dove into it. HW: I actually had two phases when I was young. From six to 15 I did classical ballet at the conservatory in Frankfurt. But at 16, I quit and had a long break doing totally different things like athletics, Capoeira and stuff like that. 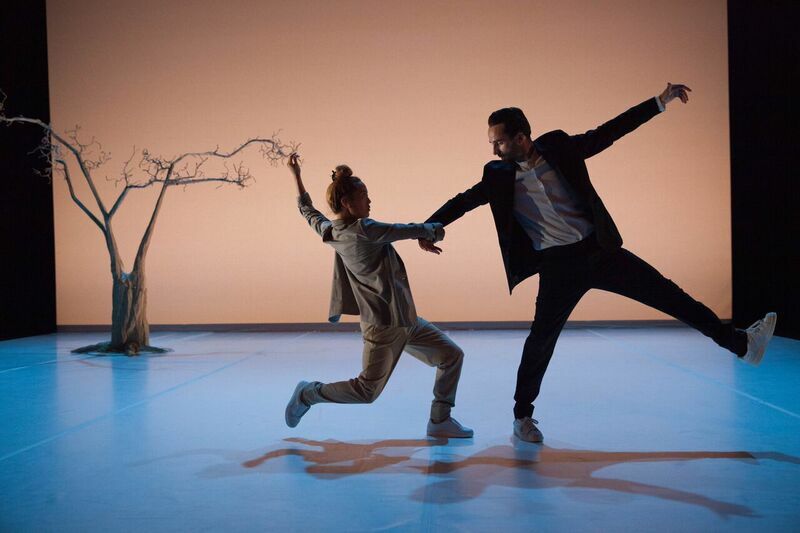 But for me the real beginning of my dancing – the time when I felt like I was exploring and really developing something – was in my early 20s. I found the underground hip-hop scene. It’s not a school, it’s not an academic thing. It’s something that you find in hidden spots, and that attracted me a lot. It was a place where I found myself very free and at home. I was very focused at the beginning on b-boying, which is breakdance, because I was very physical as well. I loved acrobatics and doing the impossible, like standing on my head or doing very complicated movements. When I found this it drove me into this intensive training. I trained voluntarily every day for three or four years intensively. And while you are training every day, you find and you search, because this is one objective in hip-hop dance: that you find your own style. And this is actually how we came together and tried to find a balance and a mix between both of us. And we decided to participate in a hip-hop competition, a choreographic competition, and we created a little show together. AM: Was it in Frankfurt that you became part of the hip-hop scene? HW: No, it was in Berlin. AM: What did your parents think of all this, given that they are from Korea? HW: My parents never knew what I was doing. My parents are typical working class people so they were going out and working every day, coming home, and they just made sure that I was in school. So when I got out of school, I didn’t even let them know. I said, “Okay, I’m going to go to Berlin.” My parents trusted me. They said, “You know better. You know the language, you know Germany better, you know what to do here. But just do something.” So dance is something that I did in parallel because I never thought that I was going to be a professional dancer. AM: Were you at university? HW: No, I was working. I was registered in university but I was training and working at the same time. AM: Sébastien, did you have any opposition from your family related to being in the hip-hop scene? SR: No, my parents really supported me. They also didn’t know what it was exactly, because the same as her – they are more working class people. They don’t go to theatre, they don’t know what the dance scene is about. But they were happy to see me enjoying it and came to see me sometimes doing shows, and they liked it. AM: How did you meet each other? SR: We met in the training room. AM: Did your relationship precede your working relationship, or the other way around? SR: We started with our relationship; then we went to a working relationship. AM: What is it that attracted you to each other in terms of working together? HW: I think for me it was basically that he was already totally developed in dance and I was very fascinated by the quality and the way he was “distributing” breakdance, or b-boying. I had never seen it done this way. It was not just trying to impress people by doing crazy movements. I saw something which was more subtle – speaking through his emotions – which really attracted me. As well, it’s so linked to the general character and person. The way you move, the way you search for your movements, the way you develop your movements. It’s all so linked to the personality and to the way you think. SR: For me she was skillful, she was elegant, she had great potential. I was just amazed by her. I had always wanted to be able to develop my work as well, so I thought that was a great opportunity to do something together, and I was thinking we could do something interesting by mixing styles. And also, being a man and a woman says so many things and I wanted to explore this duet. AM: Where do you live? HW: We live in Berlin, but the company is based in Montpellier in the south of France. Sébastien’s home town is Perpignan, and we go back and forth a lot. AM: There is a short piece of yours on YouTube called Amor & Psyche. Can you tell me about that? HW: That was our first collaboration. That is the one that we did for the hip-hop competition. SR: We made a film out of it and we did a competition where we got a prize in Japan, and other prizes. HW: And then we continued to develop the 15-minute piece, the duet, which was the long version. With this we decided we would like to challenge ourselves and present it to a contemporary platform. And we won a prize with really contemporary dance companies, so that was a nice surprise for us. AM: AP15 won quite a few awards for you. What is it about? SR: This is the longer version of Amor & Psyche and is an excerpt of Monchichi. These three are linked because it was the evolution of what we established together. SR: It is. It is our identities, our culture, our situation, where we come from. It was a challenge for us to bring it on stage. And it was the beginning of our relationship as well, so it was kind of an important moment for us because we talked a lot about culture, about our identity. AM: This piece has a lot of textual elements, spoken word. What made you decide to include this instead of having a pure dance performance? HW: I liked this idea of talking into each other, so that you hear what everybody has to say, but you don’t hear it because they keep talking over each other. I imagined the situation of a psychologist standing in front and everybody trying to express their view of how a relationship functions. We were trying to improvise and we were making fun of it. We were sitting in a chair and starting to talk about him, about me, what I think, and about his parents, about the culture. And it felt good. At the beginning it was still very fragile because we respect the theatre, we know that it has a certain way of articulation. But we were not scared of doing it. We had nothing to lose. SR: And I think text is another layer that the body cannot express. It’s very interesting to use text. It gives a more personal approach. It’s as close as we can bring people to who we are and what we feel at that moment. AM: How do you both keep in shape and how do you have the endurance to get through a long show like Monchichi? SR: It’s not so easy to keep in shape and to keep regular training with the work we have because now with the company we have a lot of different shows running, so there’s a lot of touring. There’s a lot of creation time as well. It creates a “storm” – there are so many things happening at the same time. But we do as much as we can. Rehearsal time is the time when we do a lot of training. HW: I have to say when I compare to traditional dances like ballet or flamenco or whatever, they have their traditional way of going to the barre and warming up. And in hip-hop that doesn’t exist. We are too freestyle in that way. With hip-hop it’s more like we’re dancing to the music, and it depends on how we feel. So that’s why I think it’s hard to keep up exercise or a fitness thing every day. AM: Tell me a bit about your work Borderline, for six dancers. SR: Borderline is actually for five dancers and one performer. AM: What does the performer do? SR: He’s a rigger. We use a lot of wires and we fly a bit. At the same time he’s part of the performance – he’s on stage with us. He plays a role more than just being a technician. It’s an aspect which I think is very interesting because of the wires and all the scenography that moves around with us. AM: What is the work about? SR: Borderline is about the characters on stage. We got inspired by the dancers we worked with. A borderline is something that is at the edge – it’s something extreme. And we try to get out of every dancer their own borderline. So it’s a lot of small stories connected together. AM: What about your 2015 piece, Felahikum? SR: Felahikum is a duet with Honji and Rocío Molina, a flamenco dancer. We love to do collaborations and clash different aesthetics and different cultures together. HW: It was a lot about the encounter between two women coming from different fields and trying to get to know each other during the creation. She is coming from flamenco, I’m coming from hip-hop, but have, of course, this contemporary influence. She’s a very avant-gardist flamenco dancer. She loves to break boundaries as well. 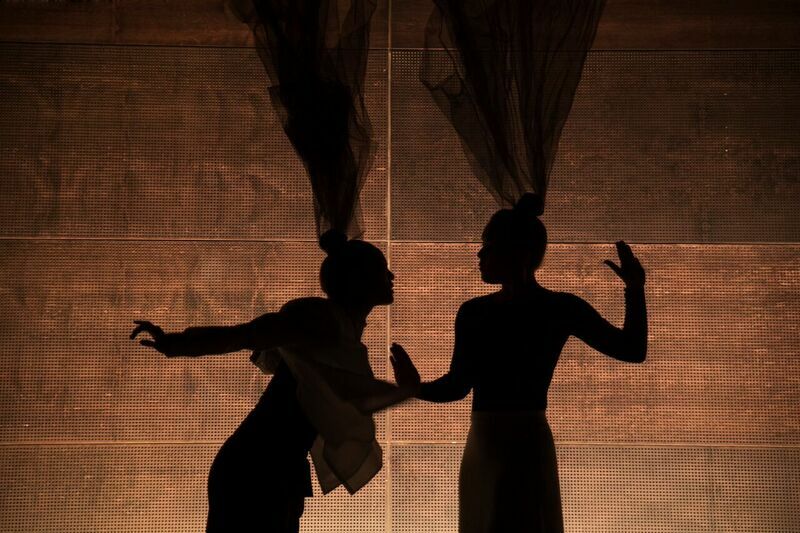 So what first interested us was using our dance languages to express something new – a connection between two women. In April we will be touring Switzerland for two weeks with that piece. AM: Your most recent work is Mise en scène. What is it about? HW: Mise en scène has changed title. It’s now called EVERYNESS and it’s a piece with six dancers. And in this piece we try to explore the relationship between two people. So we are really trying to focus on the love relationship. Is it something that can last forever, is it something that is temporary? How to define it. But we question it more than rather tell a story. AM: You both did some work with Madonna in preparation for her Rebel Heart Tour. Can you tell me about how you got involved with that? SR: We simply did an audition in Paris because she was auditioning in Paris, London, New York and L.A. Honji was very interested in doing it just to challenge ourselves. We still have this hip-hop spirit of always competing in the scene. And they selected us and we were in New York for the final process of the creation. Madonna really gets to know every dancer that works with her and she really liked our work. We ended up choreographing four scenes. Honji didn’t accept to do the tour because it was one year of full touring. AM: What were your impressions of Madonna? SR: She works very intensively. She’s really technical, very detailed, so we talked and exchanged a lot about the work. HW: What surprised me a lot is the sensibility that she had to dance. For example, when we were doing improvisations, she really liked the way Sébastien was exposing his movements – that he took his time. In the hip-hop scene, we have to go fast and we want to impress. He was trained, now that we are doing our own work, that when you do one movement it’s sometimes enough to allow a little bit of air between each movement. So this is what she actually picked out. She said she would like to make a choreography or a solo for a dancer with this breath and this interpretation of movement, of feelings, for a particular song she had in mind. AM: What projects do you have planned for the future? HW: We have a lot of things coming up. One of the projects that really excites me is a collaboration with Sara Mearns, who is a principal dancer with the New York City Ballet. We’re going to have a first meeting this summer. We would like to create a piece with Sébastien, but it’s going to be a duet with her and me on stage. So it will be an encounter of hip-hop and ballet. It’s more than just the styles of dance – it’s a meeting of two girls in a discipline of dance which is very competitive. Because if you’re not the best you will not be the prima ballerina. And in hip-hop it’s the same. You need to be the best and be able to work on your own work. It’s a constant fight. This is the theme that we would like to explore. SR: After that we have a commissioned work from Sadler’s Wells, so we’re going to start another production in London, a big production. And this is happening at the end of 2017. HW: This is a collaboration with a music composer Nitin Sawhney. SR: He’s a very famous composer in the UK. And he works a lot with Akram Khan. He’s launching his new album, which is a very beautiful album, and we’re doing a collaboration together for this commissioned work. 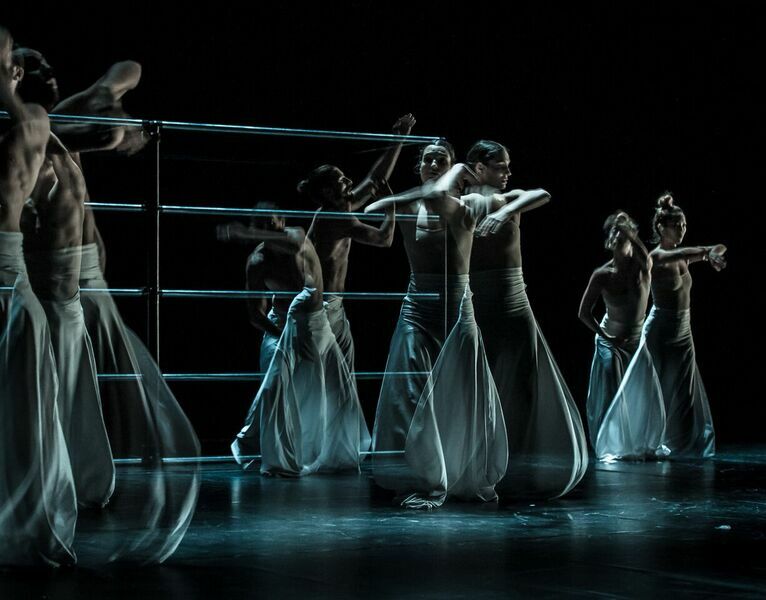 Company Wang Ramirez will perform Borderline in Paris (March 22-25), Monchichi in Belgium and the Netherlands (April 7-14), and Felahikum in Switzerland (April 19-30). 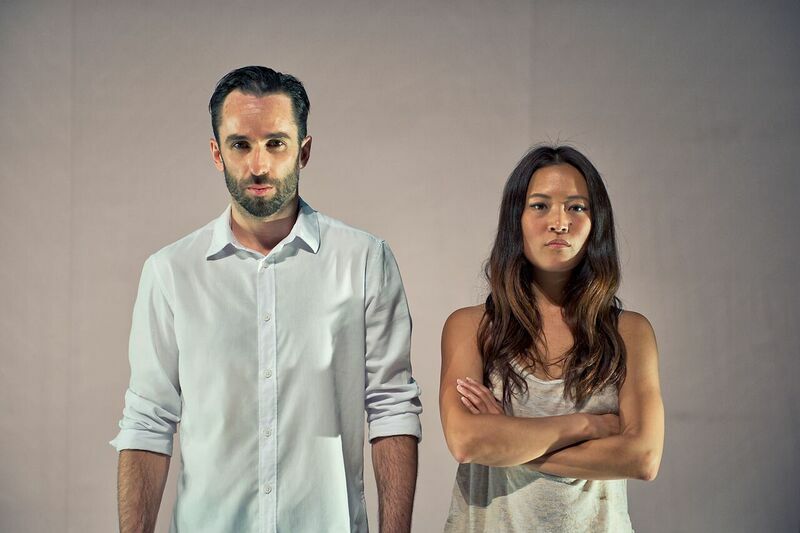 For more information about Honji Wang and Sébastien Ramirez, please visit wangramirez.com. This entry was posted in DANCE and tagged Akram Khan, AP 15, b-boy, Borderline, break dance, contemporary dance, DANCE, entrevista, Everyness, Felahikum, French dancer, German dancer, hip-hop dance, in depth interview, Interview with Honji Wang, Interview with Sebastien Ramirez, Interview with Wang Ramirez, Madonna, modern dance Berlin, modern dance France, Monchichi, NAC Ottawa, Nitin Sawhney, Rebel Heart, Rocio Molina, Sadler's Wells, Sara Mearns. Bookmark the permalink. Wow! These two are doing some very cool stuff. I wish I’d seen them when they were in Ottawa recently.